You thought the pop quizzes ended in high school. Not here, my friends. Not at good ole' Lark & Bloom. My dad made a great point the other day - but before I share his revelation... a pop quiz! Today we are doing a bit of an exercise regarding our solar system. 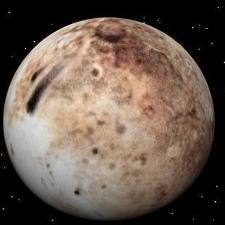 I was actually in school way back when we had 9 planets, but since Pluto has been renamed a 'dwarf' planet ( not sure how politically correct that is, but oh well.) 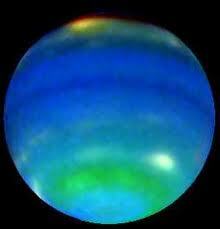 we now have 8 planets: Mercury, Venus, Earth, Mars, Jupiter, Saturn, Uranus & Neptune. 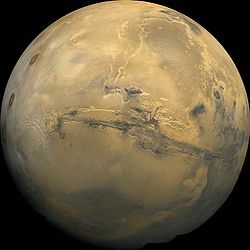 Look at the images and write down what each planet is...no google allowed! If you got any of them right, I'm guessing it was B. Saturn. We all remember that Saturn has the rings. It has six rings to be exact. Those distinct, beautiful and unique rings. Saturn is referred to as the "Jewel of the Solar System" because the rings look like a crown. Most people don't know what Jupiter looks like, but chances are they can point to Saturn. It rests distinguished from those around. But, do you know what those rings are made of? Saturn's trash. The rubble that remains after a collision on the planet. Dust, ice and rocks. Whatever breaks on or around Saturn is brought by gravity into those rings. 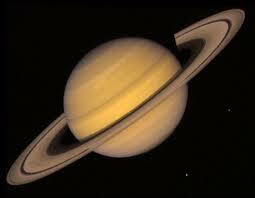 Don't you love that the "crown" Saturn wears is beautiful, distinctive and stand-out captivating? And don't you love that it is made from Saturn's brokenness? God does the same with me. He takes my broken pieces. The bits left over from an embarrassing mistake, the pieces left after I crash, and the aspects of me that don't seem to fit anywhere else --- He takes them & in His divine order sets them into place. What seemed like my trash is now my crown of glory. Not because He made a piece of rock into a diamond, but because He organized all the broken bits in a divine way. A way that makes ordinary things beautiful. A distinguished mark. So, if you feel like you are surrounded by the broken rubble of your life, take heart. He will re-purpose it as a crown for you. Give Him the broken bits & let Him bring order to your soul.